Average rating 4.5 from 171 reviews. 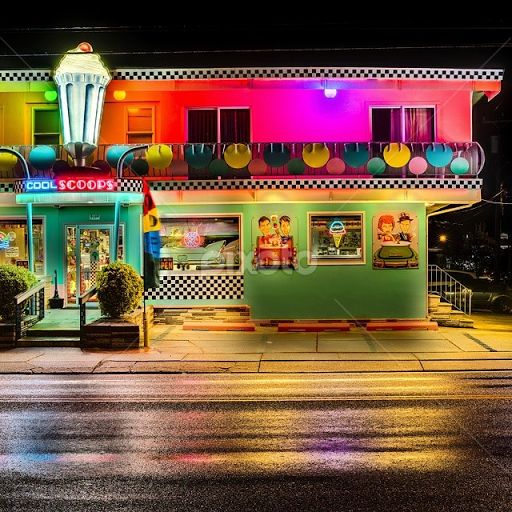 Step back in time by visiting the 50’s themed Cool Scoops ice cream parlor in North Wildwood. 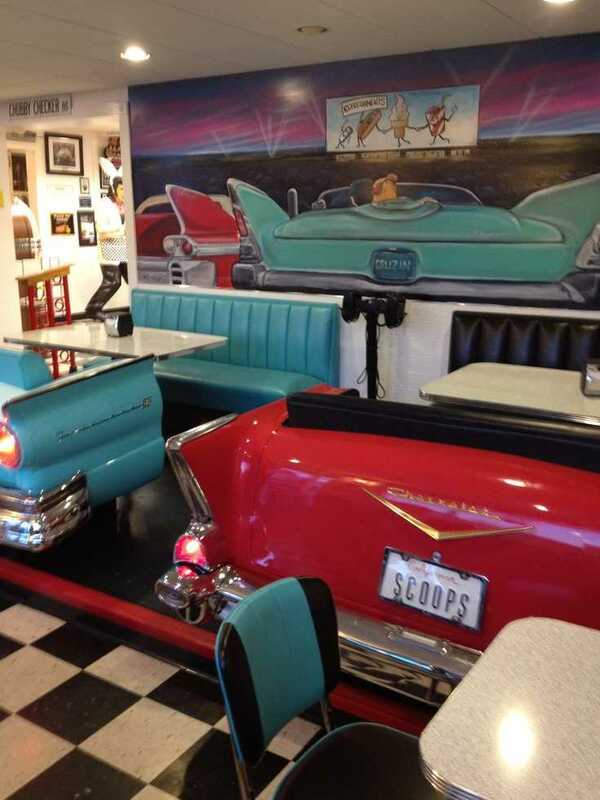 Have a delicious ice cream sundae, smoothie or milk shake with your family while sitting in one of their booths made out of vintage cars. 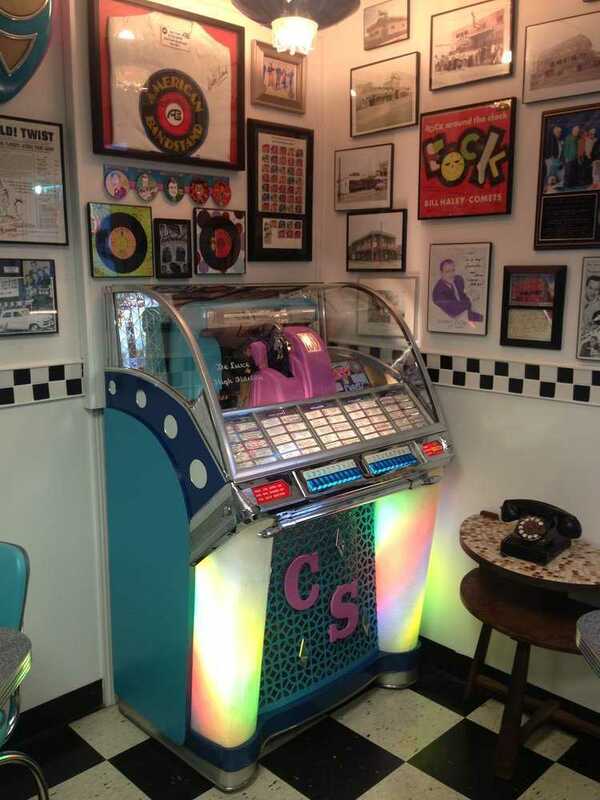 Drop a quarter in the juke box and listen to some classic 50’s music while checking out the nostalgia all around you. It’s a perfect way to end a long day of swimming and sunning on the beach! 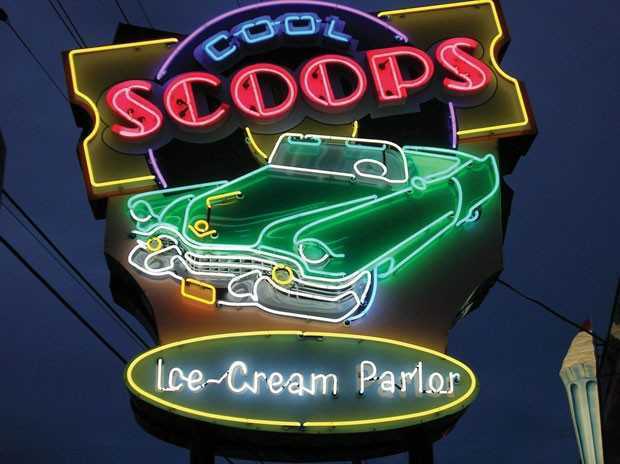 And hey, don’t leave fluffy or fido alone while you go out for your snack; Cool Scoops offers menu items for your cat or dog! 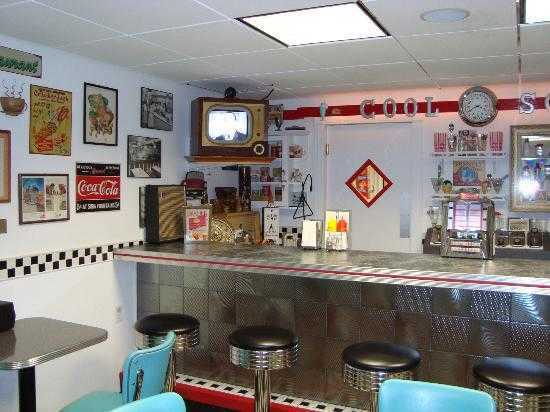 Ice cream for dinner anyone?